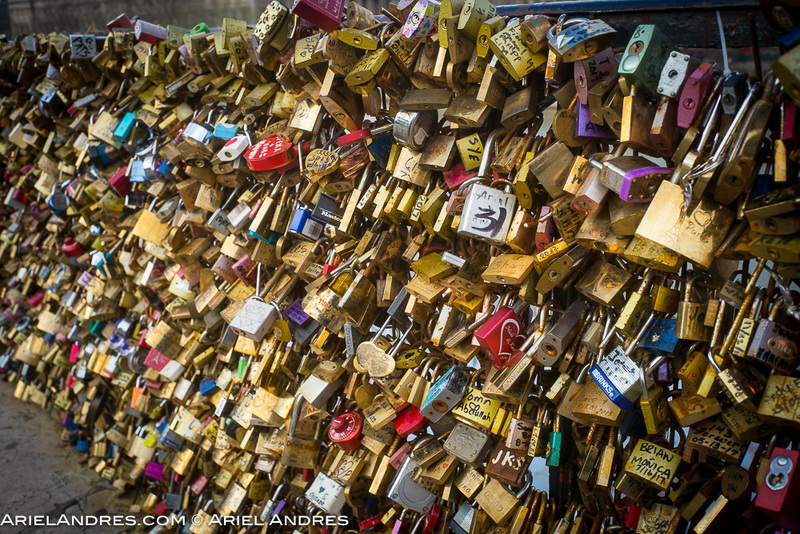 The locks are no longer on the Pont des Arts. In 2015 the 45 tonnes of locks were removed from the bridge as they threatened its structure and one of the rails actually fell. These locks are now found next to the Pont Neuf.